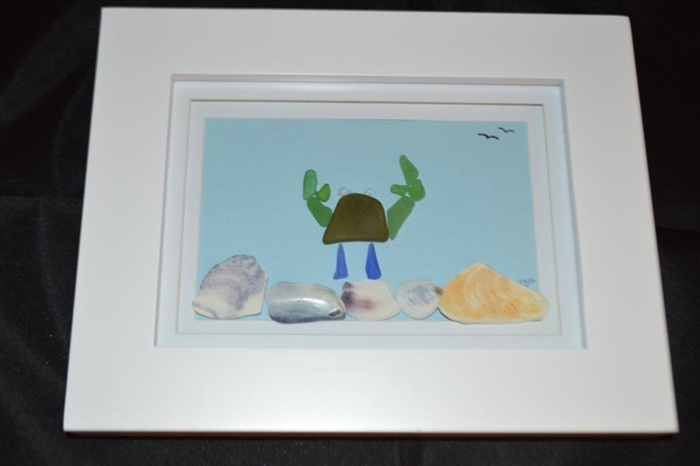 Seaglass crab with green seaglass claws in a white frame. Overall frame dimensions approximately: 7.0 inches x 9.0 inches. Inside matted scene measures approximately: 3.5 inches x 5.5 inches. Please see photo for exact piece of art. Can be hung by hanger loop on back or displayed as a tradition freestanding picture frame.